SourceGuardian is a widely used software that lets you encrypt and secure your PHP scripts. In this way, your source code is secure and no one can view or compile it, you can lock and unlock your code on the basis of strict parameters like server IP, server MAC address or Domain name, in this way, your code is unlocked on authentic place only. Source Guardian PHP extension is not enabled by default, if you have LAMP setup running on your system, you need to install and configure it separately. That’s what we will be focusing in this article, how to install and configure Source Guardian PHP extension on Ubuntu 15.04. We are running PHP 5.6 and Apache 2 on our test system. Lets see how we can install and configure this extension there. Here create a new directory named “loader” by running the following command. Now go into this newly created directory. And download Source Guardian tar file here. That’s all, Now we need to copy the loader configuration file to PHP extenstion directory. Please note that if your PHP version is different, then you might have different folder/file name, run command accordingly. Create a file for sourceguardian inside PHP5 mod’s directory i.e. /etc/php5/mods-available/, run following command to create file. Save the file and return back to the terminal windows. Run following command to enable this extension. In order to verify it, we need to see the output of phpinfo() function. Go to /var/www/html directory by running the following command. 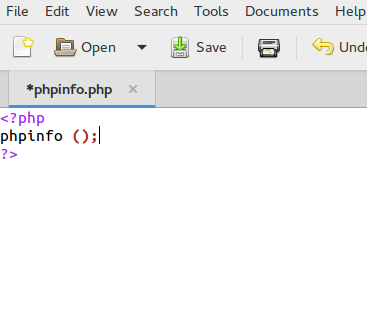 Create an empty file here, named phpinfo.php by running the following command. And paste following code in this file. Save the file, launch your web browser and load http://localhost/phpinfo.php . It should load a page as shown in following screenshot, From here you should be able to confirm that Source Guardian is configured successfully (shown encircled in screenshot). Enjoy securing and encrypting your PHP code.